In the trenches of the sport, at the Cat 4 level, this racer was taken out of the State Crit by a crash on his brand, new Donkelope bike. 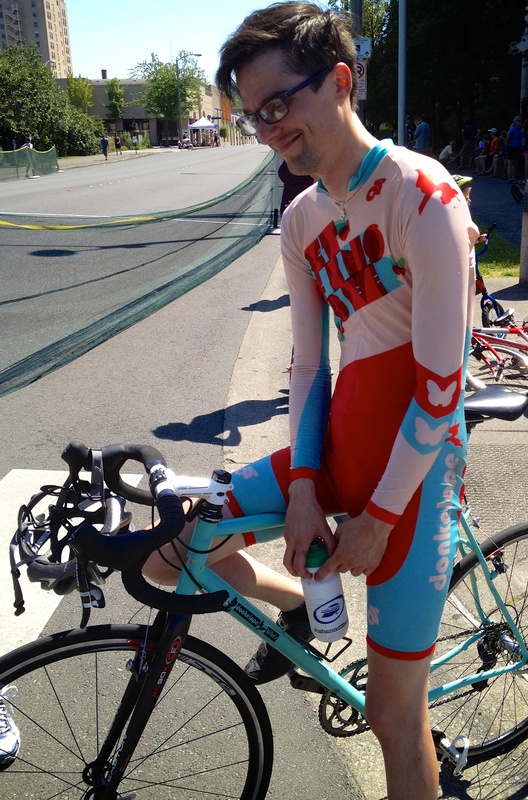 His skinsuit caught my eye near the pits. Later, he was more upbeat, hopeful and thinking of the next race. Also getting ready for Cross. Read more about Tim and the bike on Donkelope’s blog.